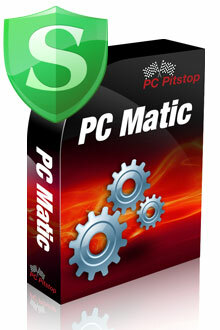 PcMatic at PcMatic.com AKA PcPitStop.com is marketed to be a all in one tool to rid your system from viruses, malware, spyware etc and to optimize your computer operating system. In our experiences, many online fix it tools are mostly fluff and do very little to actually help your system. Even though PcMatic didn't seem to be infectious itself, Some of these so called "Fix It" Tools are viruses themselves! - So always beware when downloading any of these Automatic Fix It tools -You may get one that you can't even remove and may further damage your system. Below is our simple evaluation and comparison using PcMatic, then the free tools we offer to everyone on the Computer Services website. We have also included a link to another IT Professionals' opinion and Analysis as well. Our techs looked into the PcMatic program by simply comparing the program to the Free Downloads that we offer on our website that we know are effective tools for virus malware, and variants eradication as well as optimization. We took a liberally infected system and used PcMatic to attempt repairs of the system. It was constantly looking as if it was busy fixing just about anything you could imagine. In Actuality, after it was done we noted it constantly ran in the background and did somewhat slowed the machine. 1. After we used the PcMatic we ran our Free Anti-Virus off Computer Services Free Downloads, Avast found 14 major infections left behind by PcMatic software. 2. Then we ran Super Anti-Spyware offered on our site Free to everyone and it located 3 CRITICAL items and 742 additional items, again left behind by the PcMatic software. 3. 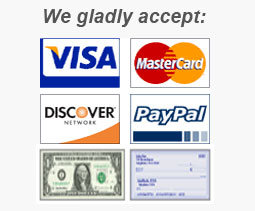 Then we Ran Cleanup, also offered Free on ComputerServicesFast.com, and it removed 1.4GB worth of unneeded files, Again left behind By PcMatic.com and PcPitStop software. You can save yourself allot of money and grief, and possibly your important data steering clear from ANY Online Fix It tools.